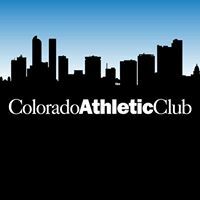 Colorado Athletic Club- DTC (Denver Tech Center) - Get Involved. Make Friends. Enjoy Motherhood. Come join Colorado Athletic Club at the Denver Tech Center. Membership is all-inclusive: Cardio equipment, weight floor, functional training floor, 87+ group fitness classes, cycling, yoga (heated and non-heated), mat Pilates, indoor basketball court, indoor lap swimming pool, full-amenity locker room, hot tub, dry sauna, eucalyptus steam room, towel service, invites to all Club parties/events, etc. For Nov. only short term offer: just in time to take advantage of our 21 day Fitness Challenge! Another option—Enroll for $79 and receive a MYZONE heartrate monitor!! If you haven’t been into the Club before and/or are exploring membership, please don’t hesitate to shoot me an email and we will be happy to activate a 5 day Club membership for you to experience all that we have to offer.